It is an extremely smoky morning and I am out in the northern wetlands immersed in the tules. This is a plant some people call common tule or hard stem tule, but its scientific name is, Schonoplectus acutus. This for me is one sign of a true wetland habitat. It towers over me and creates a sometimes impenetrable landscape. 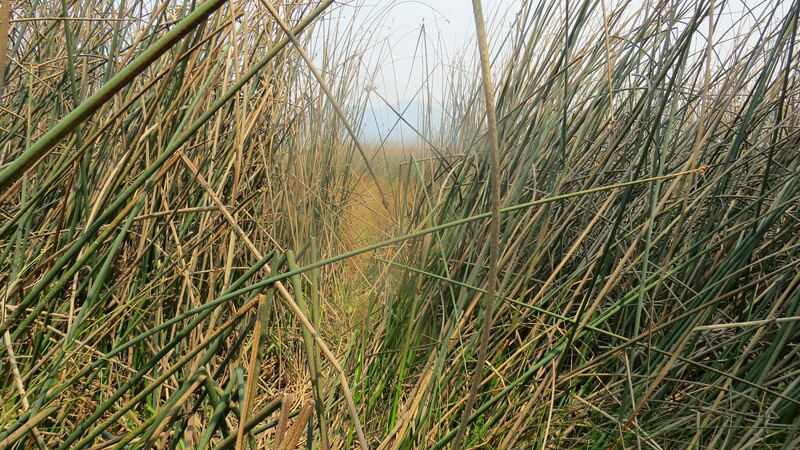 Luckily the elk have made walking paths through these tules and it makes it much easier to get through. Everywhere there are small birds chittering and calling to each other. Finally, I catch a glimpse of a young Marsh Wren, Cistothorus palustris, holding on to the tules with both feet spread wide. It is scolding me loudly as I approach what looks like a huge knot of brown tules leaves. 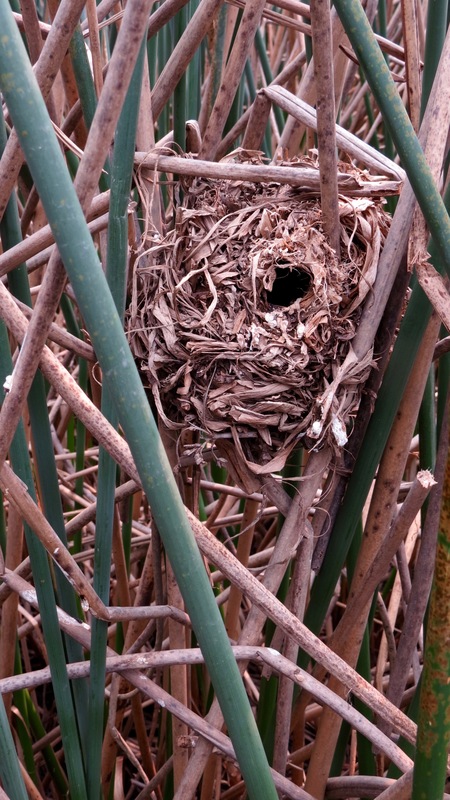 This is a Marsh Wren nest! They are amazing builders, building round globular balls woven of sedges and grasses, suspended and connected to the tules where they live. 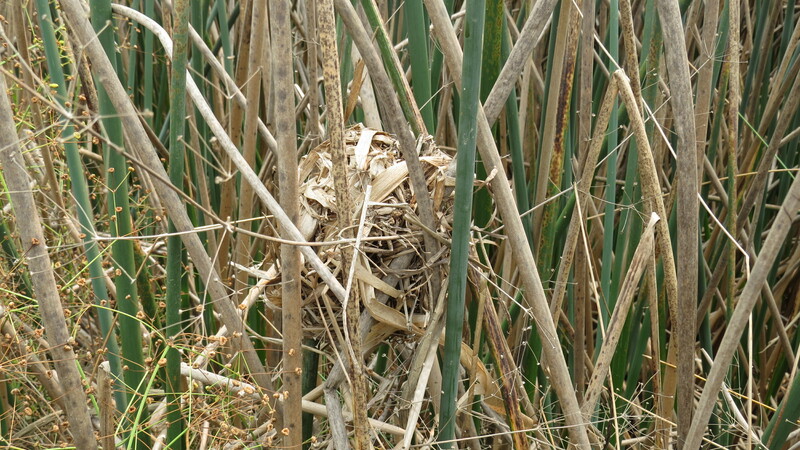 Because they are very clever they build as many as 6 or even 22 other “dummy” nests to fool their predators or other competing marsh wrens. It did not take me long to find several of these in the same area. The difference between the real nest and the fake ones is obvious, there is no entrance hole and they are rather messy! 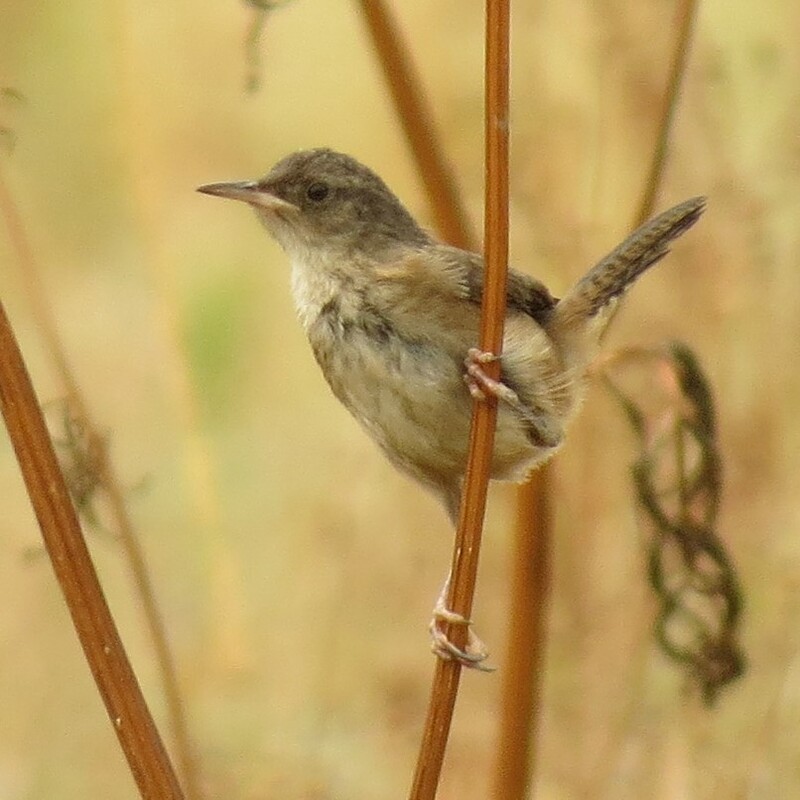 Here are some interesting facts about Marsh Wrens: a male can sing up to 200 different songs during the breeding season and they are tiny but fierce. They fight for resources and regularly pierce eggs and kill nestlings of other wrens in their territory. Male marsh wrens have been known to sing through the night. It is fun to see the young birds practicing their fierceness while the parents are watching. The young birds do not have the pronounced white eye line that the adult birds have. The smoke drives me reluctantly out of the marsh and I head back to look at my photos in the office. 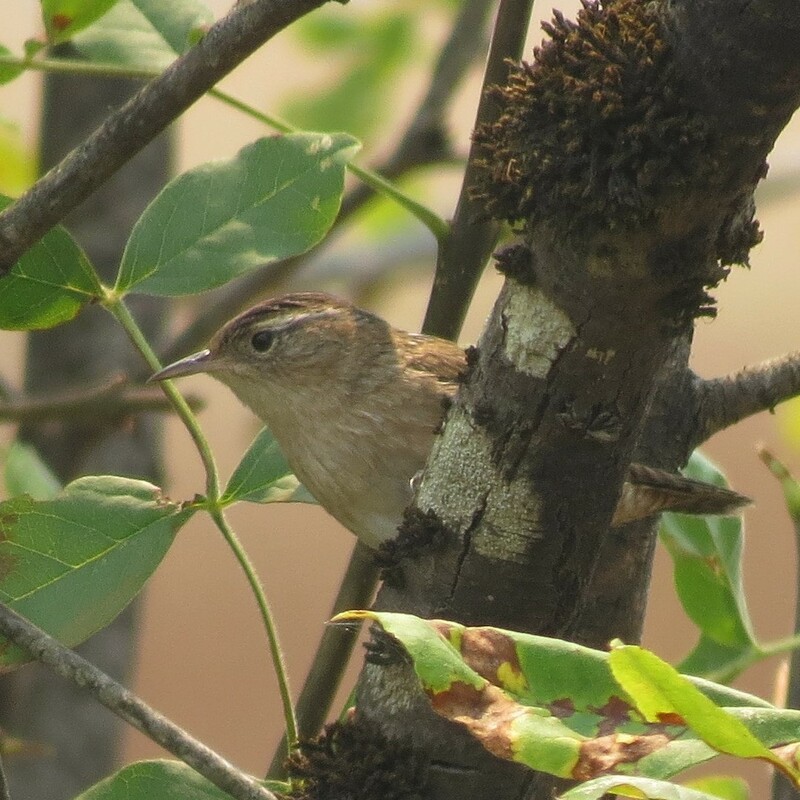 Life goes on for the wrens and other inhabitants of this fantastic wetlands.